I ordered the Classic BLT with bacon, avocado, tomato, and butter lettuce, minus the mayo and onion. I can't even remember the last time I had a BLT, so I was excited to try this sandwich. 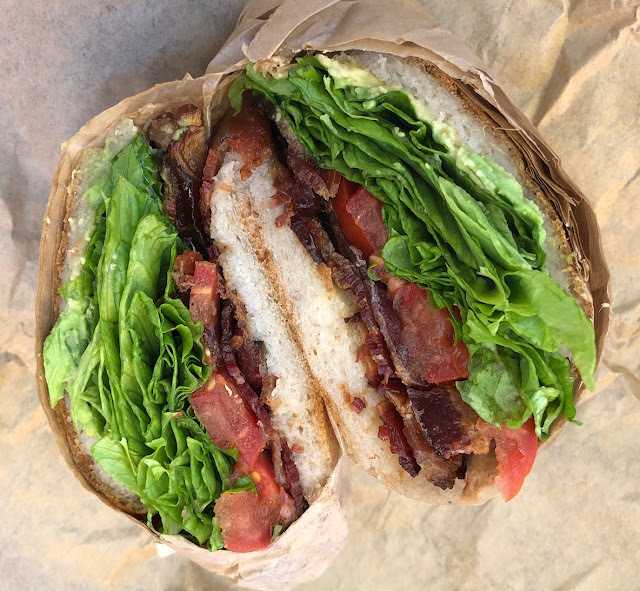 I can't imagine a BLT being better than this one. The bread was delicious, and the addition of the avocado made it the perfect sandwich. My BLT had a good amount of bacon, and it was cooked perfectly. The next time we stop at Pushkin's, I will definitely be getting the same sandwich again. 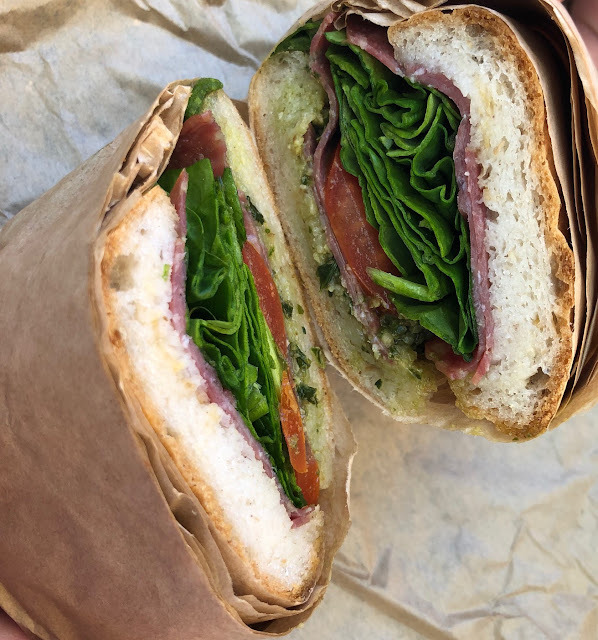 My daughters shared the Serious Salami with salami, pesto, tomato, and spinach. 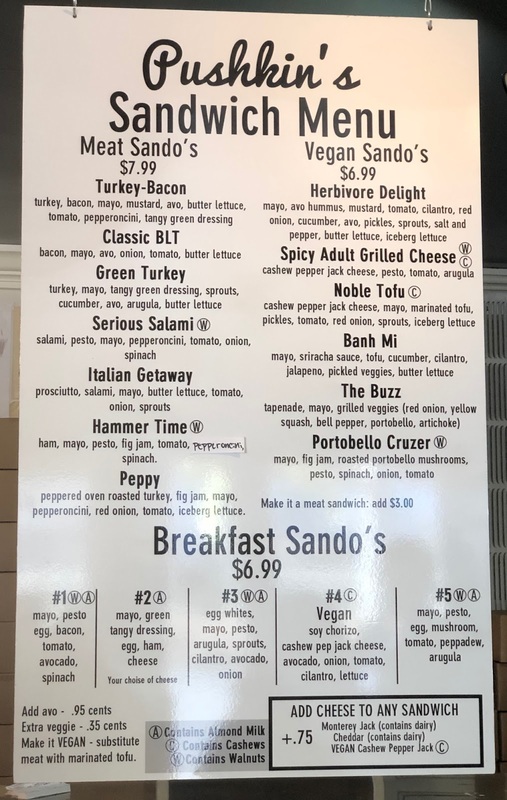 They left off the mayo, onion, and pepperoncini. Overall, they enjoyed their sandwich, but probably would have liked it better with some provolone cheese. It was big enough for them to share, and conveniently, all the sandwiches were cut in half. 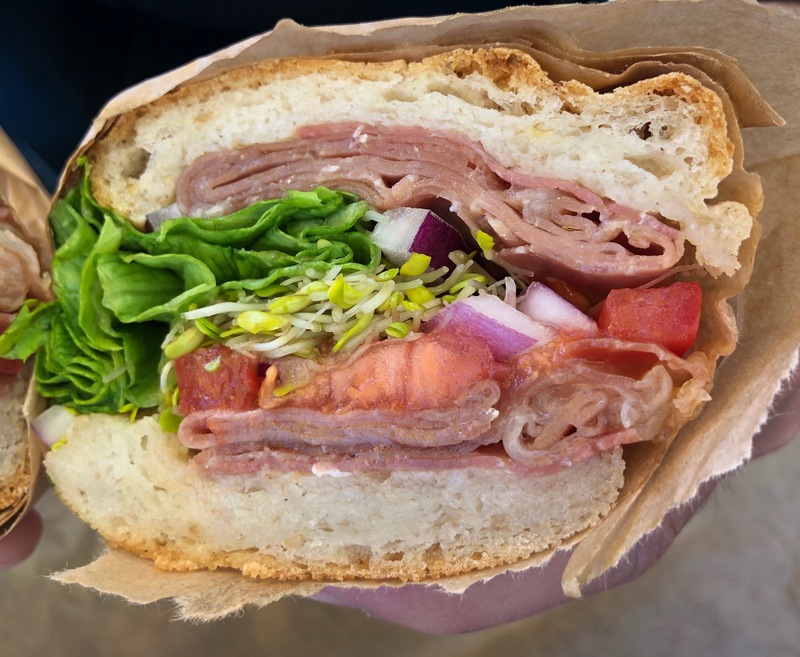 My husband chose the Italian Getaway with prosciutto, salami, mayo, butter lettuce, tomato, onion, and sprouts. 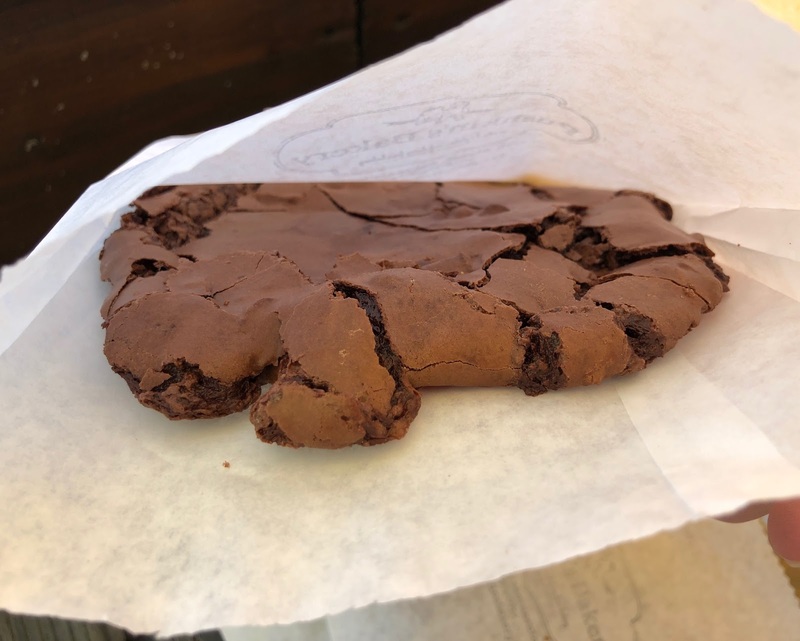 My family of gluten-eaters thought the bread at Pushkin's was very good, and my husband was happy with his sandwich, but like my daughters, he would have liked some cheese. Yes, Pushkin's does offer dairy-filled Monterey Jack and cheddar, but those are not cheeses we would chose for Italian sandwiches. We were so full from our sandwiches, we only sampled the two mud pie cookies we bought at Pushkin's before driving home. 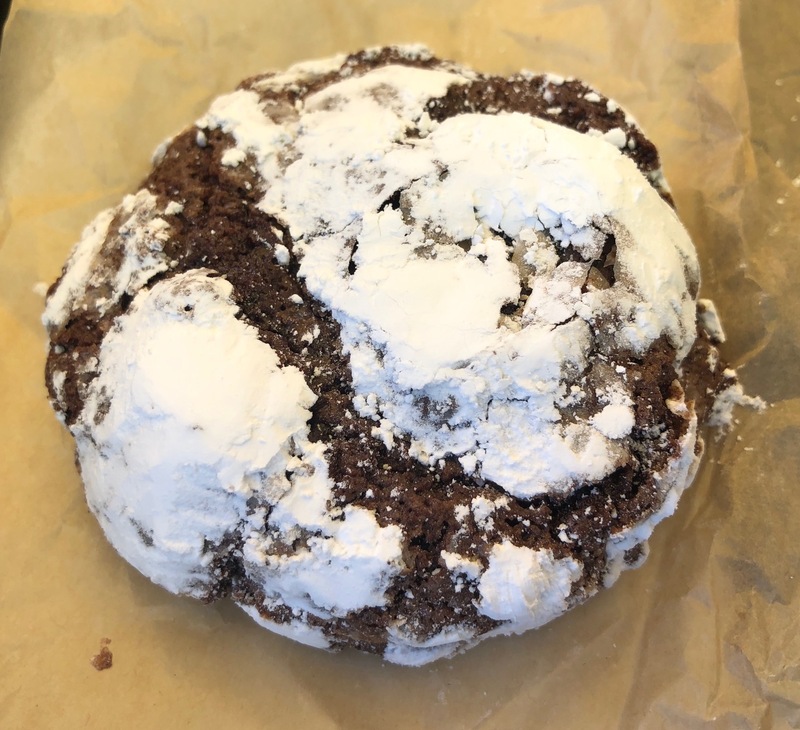 I really wish we had gotten a few more, because they were some of the best chocolate cookies we have ever had. The two we purchased were plenty to share after lunch, because they were huge. The cookies were crisp around the edges, and chewy in the middle. When I pulled them apart, they had ooey gooey bits that looked like chocolate caramel. 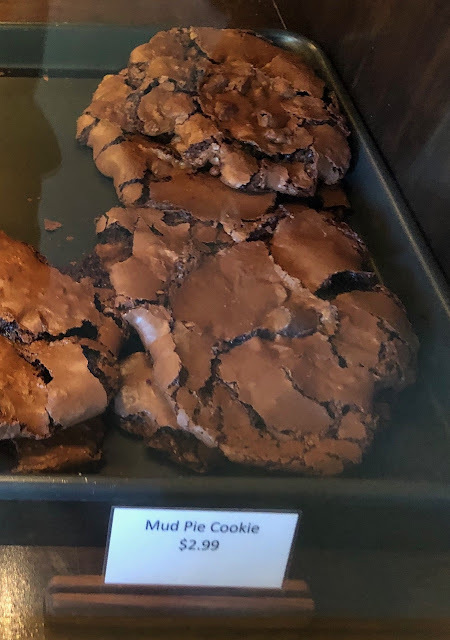 If you love chocolate, be sure to buy a mud pie cookie at Pushkin's, or two or three. Later that night, we sampled the rest of our baked goods. The small No Names in the box are like the center of a cinnamon roll. We also bought a toasted almond apple cake and a crinkle cookie, which was chewy like a brownie. All the baked goods we purchased from Pushkin's were delicious, and we liked them enough to buy them again the next time we are in Sacramento. 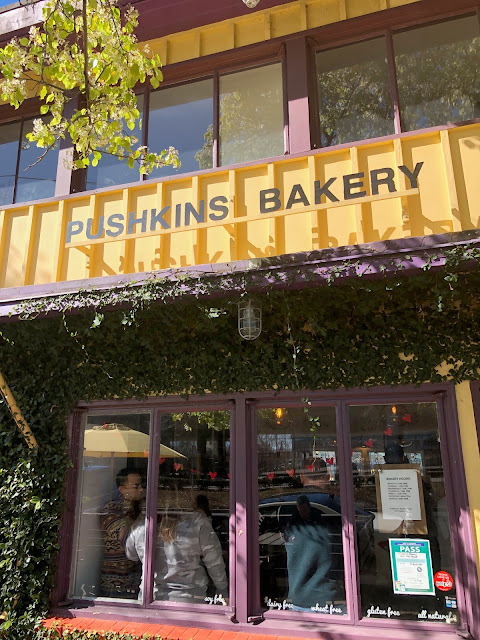 I have visited a lot of 100% gluten free bakeries in the United States, and I would have to say that Pushkin's is one of my new favorites. We were all really impressed by their baked goods, and I love that they have a sandwich menu. You can read more about Pushkin's Bakery on their website here. 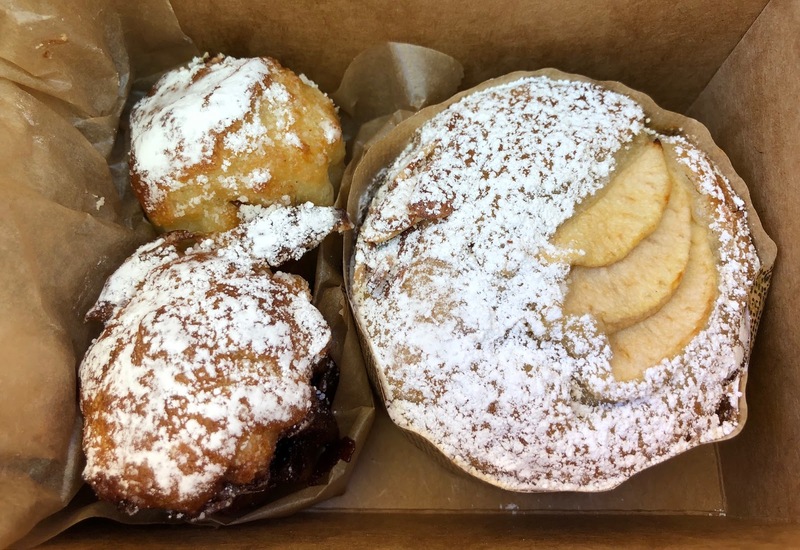 What are your favorite gluten free baked goods and sandwiches at Pushkin's Bakery?